Australia is one country that we can for sure say it is blessed with everything. The mesmerizing tourism gives visitors a reason to extend their stay in this beautiful country as well as making them come back for more. The well-established culture, stunning wildlife, tourism spots and beaches, chronological wonders as well as the sky-touching sky crappers attract millions of visitors each year from every corner of the globe. Touching on hospitality, visitors are treated to the best services they can experience in any other five-star hotel in other parts of the world. You will always get a place that suits your class while in Australia. The country offers one of the best entertainment places for all the revelers. All game fanatics and gamblers have some cool places to relax their bodies sipping a glass of wine from one hand and a cigar in the other. When you want to create memories for life, visit the Star Casino in Australia. 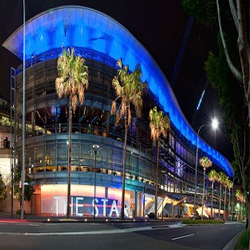 The Star Casino is the 2nd top casino in Australia after the Melbourne’s Crown Casino. The casino is located in Pyrmont, Sydney. You get to experience the cool breeze in the evenings as the sun fades away giving you time to relieve your body of the accumulated stress over years. Star casino features multiple casino game floors with over 7 bars, six plus restaurants, and over 350 hotel rooms and 130 well serviced privately owned apartments. The area surrounding the casino is well developed with the most modern infrastructure creating a magical scene in the whole area. 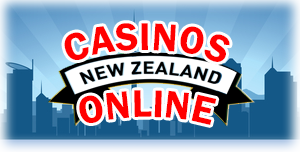 The gaming experience in the casino is controlled by the New South Wales Casino control Authority and has received a license to be the only casino operating in South Wales. As of now, the Star Casino enjoys 12 years extension of their license to be the only Casino operating exclusively in South Wales. The hotel and casino have gone through renovations over the years with massive investments making it stand out in the top of the game with other world class hotels and casinos. Casinos are rated by the quality of the gaming experience they offer to the revelers. The star casino features two gaming floors with a complete set of gaming facilities. The main gaming floor is on level one and sovereign room on level three. These floors host high rollers and International guests who apply for membership that is reviewed by the Star management. You can be sure to find several traditional casino games such as mini-Baccarat, blackjack, craps, Caribbean stud, pontoon, and three card pokers amongst others. The star also provides electronic gaming with a wide variety of pokies. It has over 1400 electronic gaming machines so you can be sure to get a seat to play your favorite game. For a world class fun experience in Austria, look out for the Star Casino.